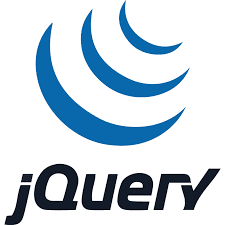 The jQuery library provides predefined functions to perform modifications of the content of HTML elements. Changes the content of HTML elements, such as text in the <P> and <DIV> tag. Enables a user to append content after the inside content in the selected element. Enables a user to append content before the inner content of selected elements. Removes the selected element including all the text and nested elements inside it. Removes all the text and nested elements of selected elements . However, this method doesnot remove the element. Inserts the content after the selected elements. Inserts the content before the selected elements. Sets or returns the content of selected elements. Sets or returns the values of the attributes of selected elements. Sets or returns the values and attributes of selected elements. Once you have created a function , you can call the same from any portion of the code where you want to use functionality provided by the function. A function can return a value of nay data type to the calling code . Let us see how the function is called , how a value from a function is returned , and how the value returned by a function is retrieved. In the preceding syntax, functionName is the name of the function. In the preceding code, the sum () function accepts two numbers 3 and 6 as parameters and return their sum 9.